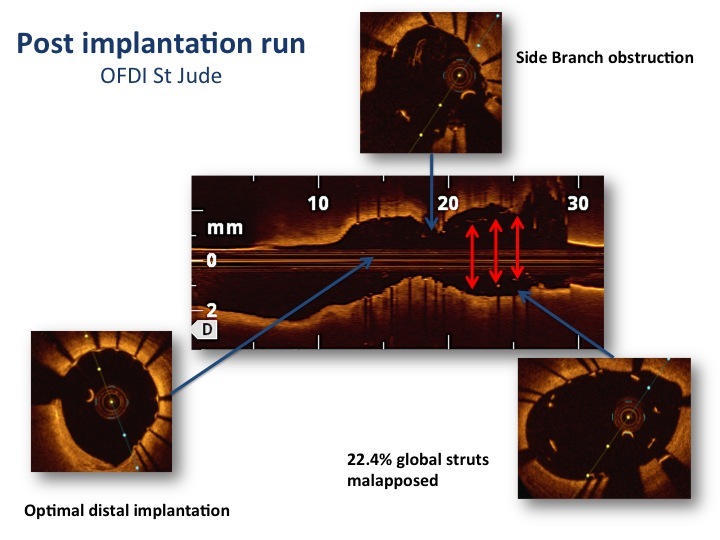 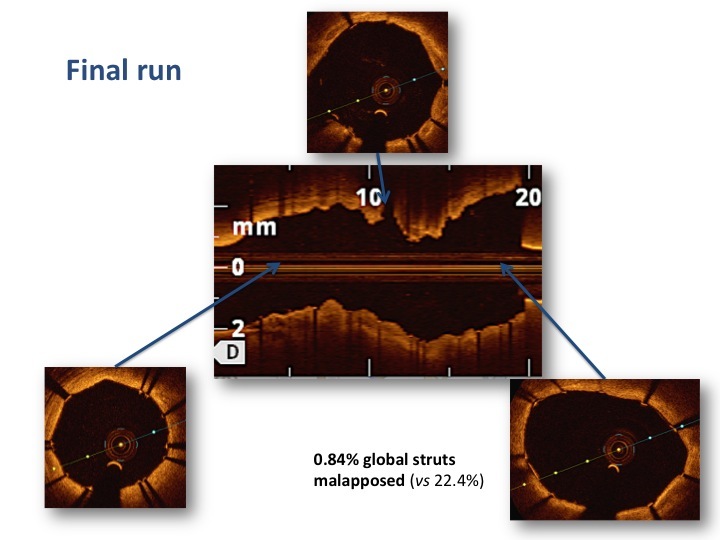 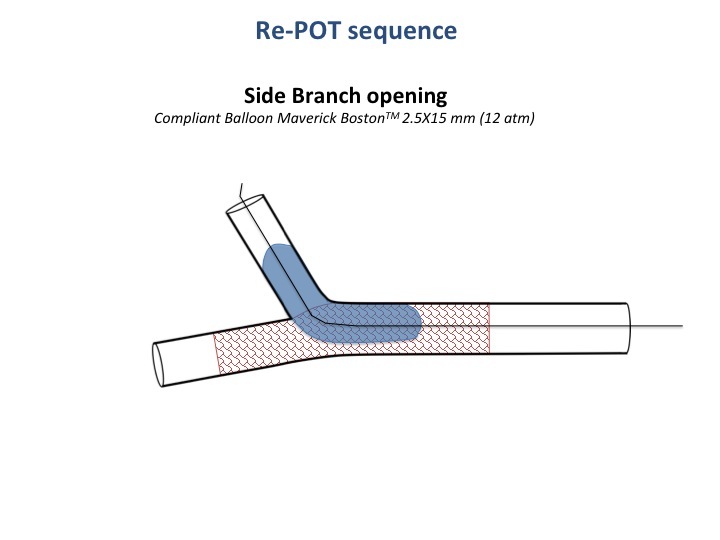 The final angiography and OCT controls showed an improved result, with final optimal struts apposition. 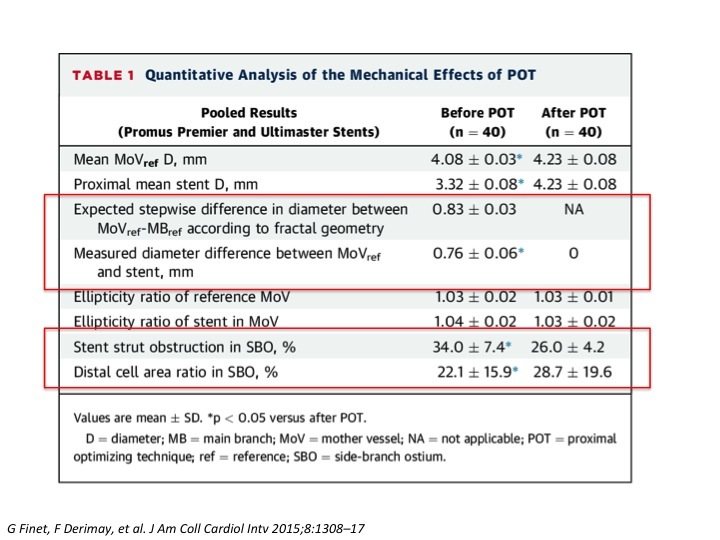 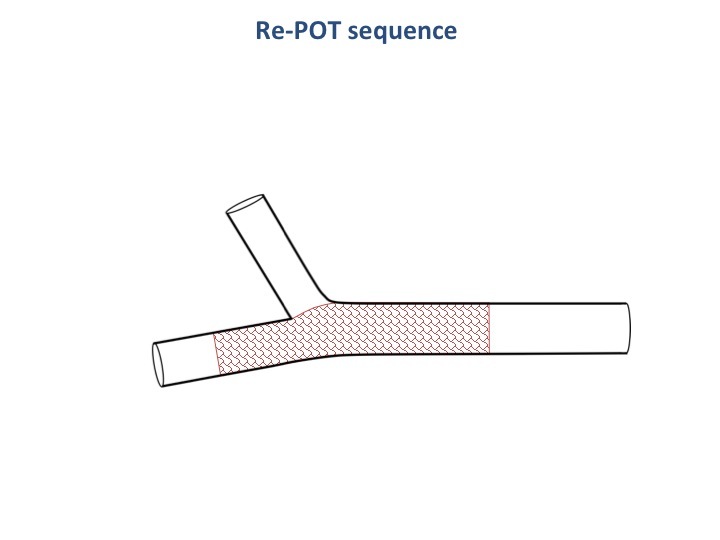 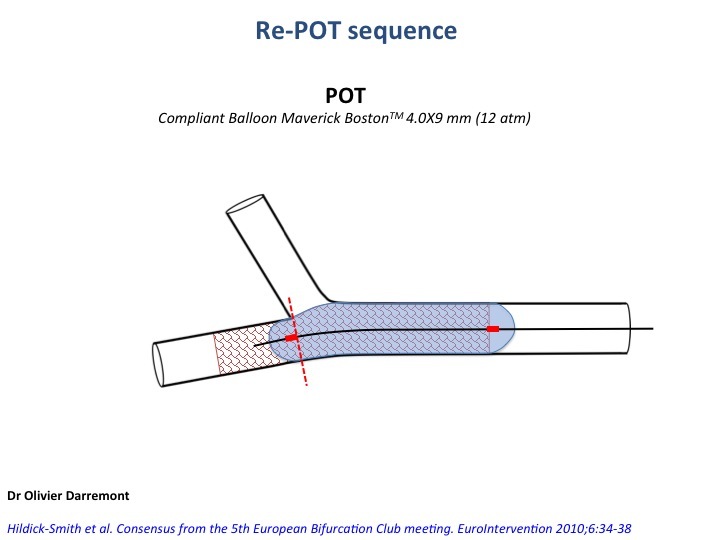 These different analyses confirmed the persistent good results of the POT/side/rePOT over time. 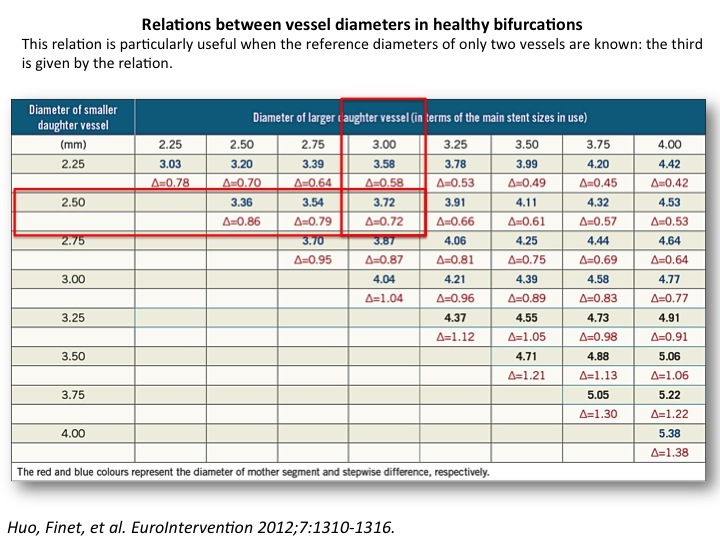 Respect of the different diameters of the vessels in bifurcation, according to the fractal geometric law.